We kindly recommand “Seller’s Shipping Method” and ”UPS” for most European Countries, we will use DPD/UPS to ship it, And we paying VAT, This is free shipping, You don’t have to pay any fees in the future. If you use DHL to ship it, Expected 3-9 days delivery, but you may be charged customs duties and taxes for something purchased online. Buyers are responsible for custom taxes, if you have special requirement, please leave a message when place order, or contact us. 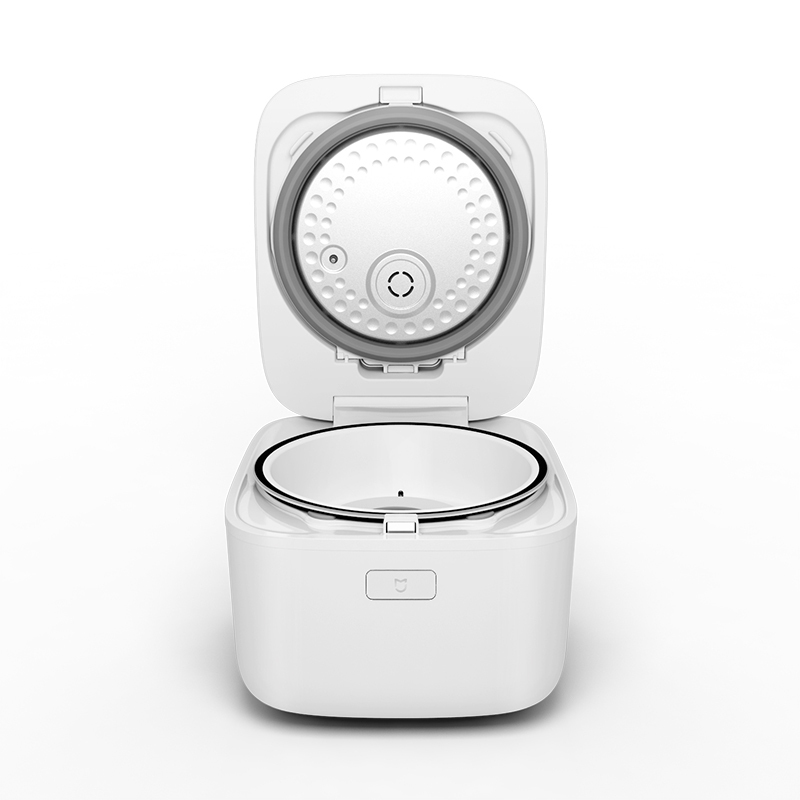 We offer three year warranty for the Rice Cooker. If there is any damage, We will send you free parts, please you install it (we will send you the installation video). But if it is damaged by human factors, or if it is destroyed by external forces, you will need to pay some fees. Every meters have different features, general steps can be cooked rice cooking, but not delicious. After repeated tests, we have accumulated more than 3000 kinds of cooking rice, using a mobile phone APP scans the bar code on the packaging can automatically match, let every meters the mistresses, sweet and delicious. Intelligent control technology, let you can according to different preferences to adjust grain degree of hardness and softness. For friends from afar custom a moderate soft waxy rice, even the novice, kitchen also can do that easily. 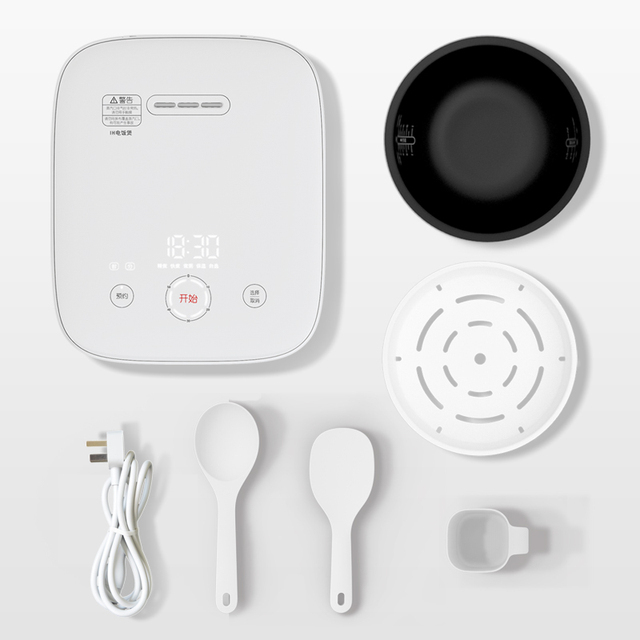 Rice home IH cooker connected wi-fi, m home APP allows you to control rice cooker cooking anytime and anywhere. As soon as I come home from work before start the rice cooker, can eat to the rice is delicious. 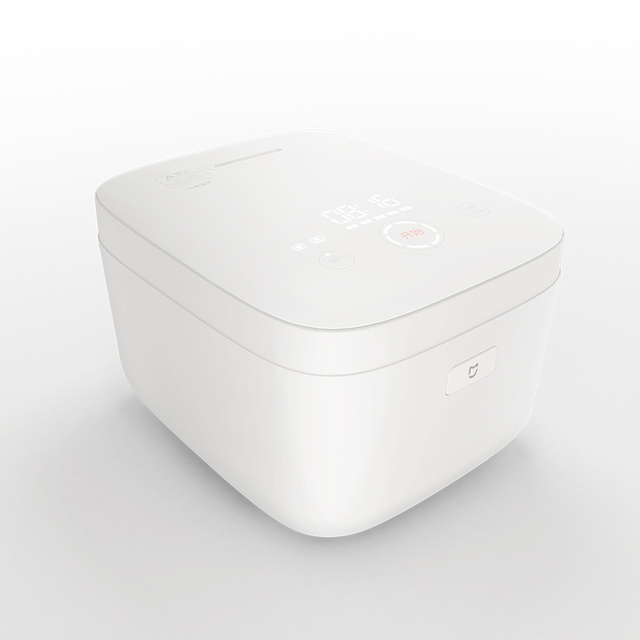 Automatic heat preservation function, even if 24 hours apart soft rice is still warm. Want to let the beef crisp rotten delicious uniform flavor? IH surrounded by electromagnetic heating technology can do that easily. When the magnetic field lines through the pot body, the tank directly even fever, maximum power of 1100 w for crude fiber gradually tender beef, along with the top of the rice cooker insulation board, heating the beef in the pot to 360 °, even occasionally. Implicit LED interactive panel, interactive information only appear when you exhale. Accompanied by melodious bell, cooked rice, wakes up early in the morning every pleasure. Simple, gentle, do not disturb. Can remove the cover within the hive and make cleaning after a meal is very simple. Built-in broken bubble also will be generated when the cook bubble breaking, prevent hot soup overflowed the pot. 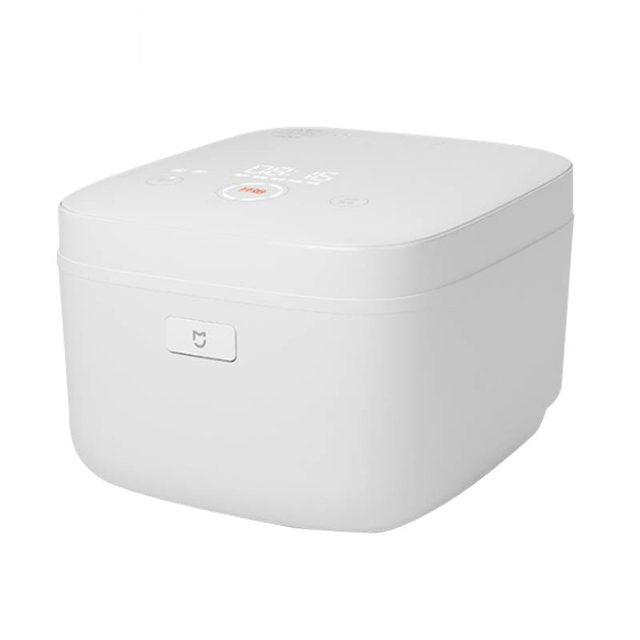 New thermal design make the air flow at the bottom of the rice cooker more fluent and natural. This not only can effectively for the electromagnetic coil heat dissipation, can lengthen the service life of the whole rice cooker. 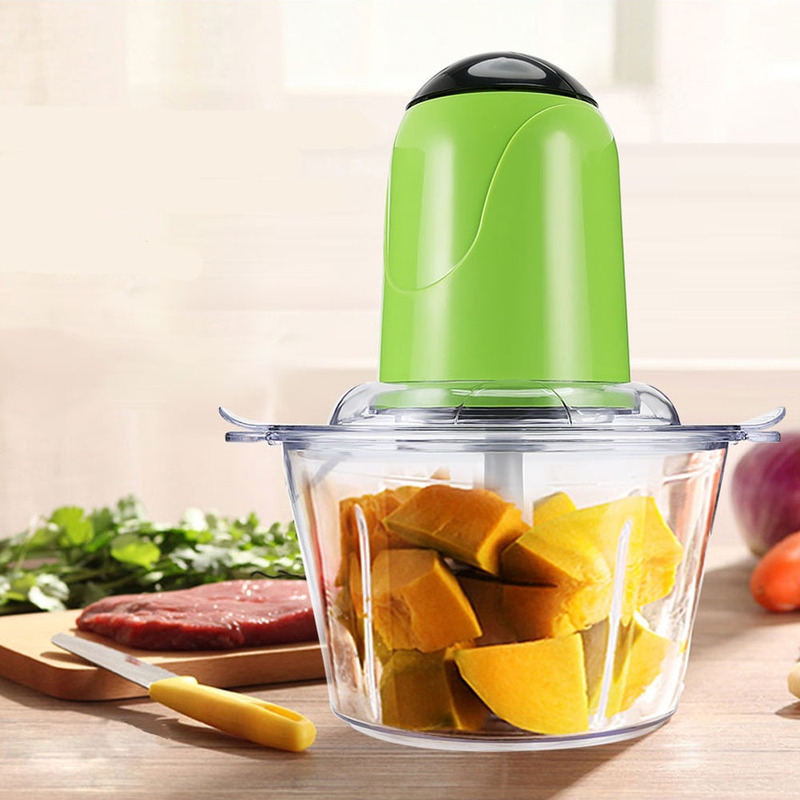 With the rice cooker with spoons and carefully made improvement, not only the higher quality food grade PP material, and also on the back to join the shoes design, every time after the rice you can rest assured of the ladle on the desktop, need not worry rice stick table, more need not worry rice contaminated. 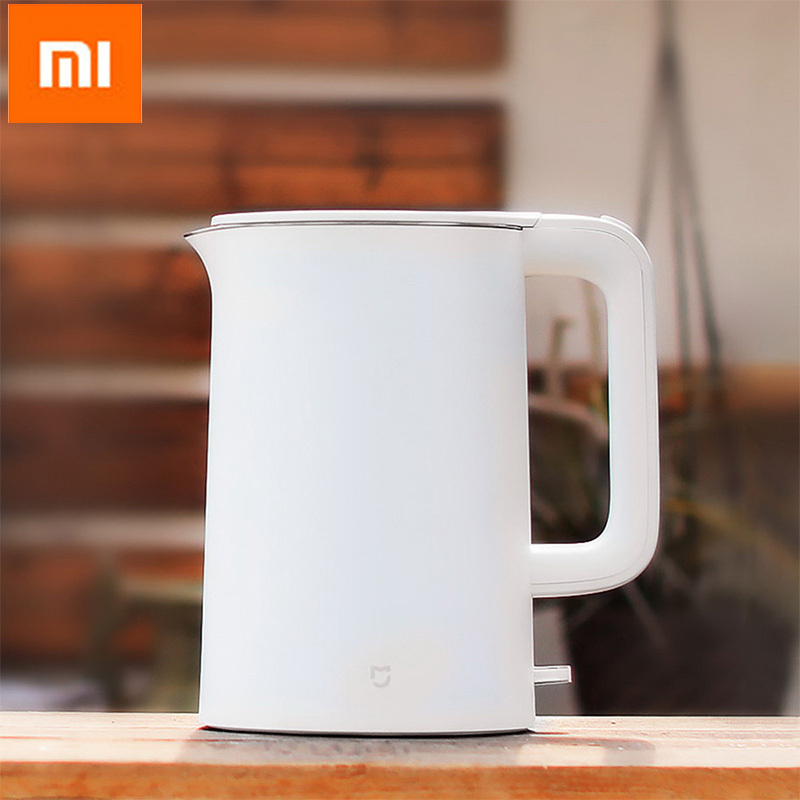 All products are original and brand new, provide three year warranty for all xiaomi products. and In the future provide replacement parts. 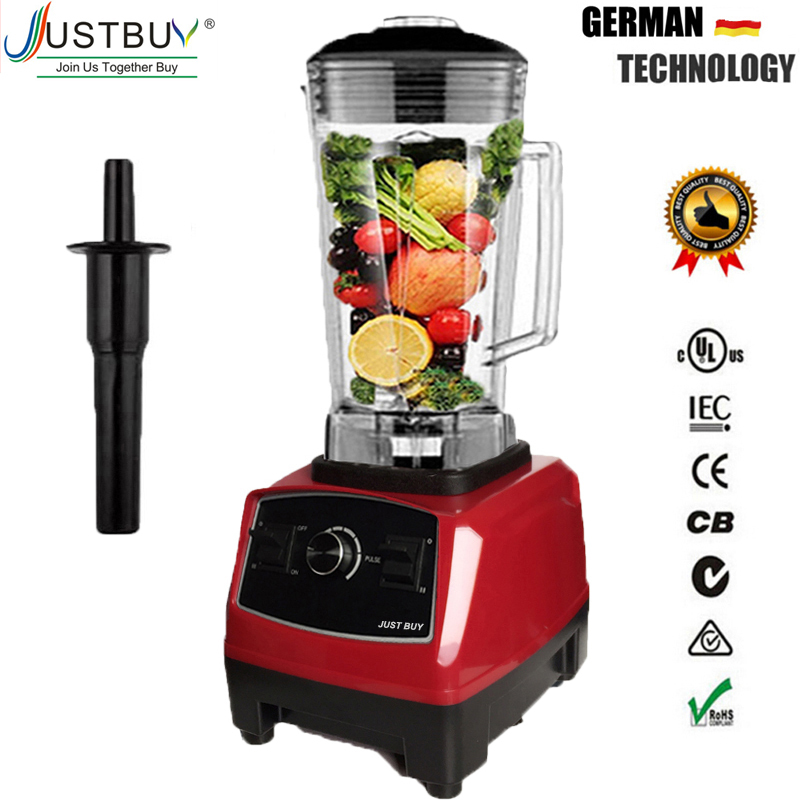 We guarantee satisfaction for honest and reasonable buyer. If the item is damaged on arrival, please be cooperative to take photos or videos on the problem and send to us for verifying. 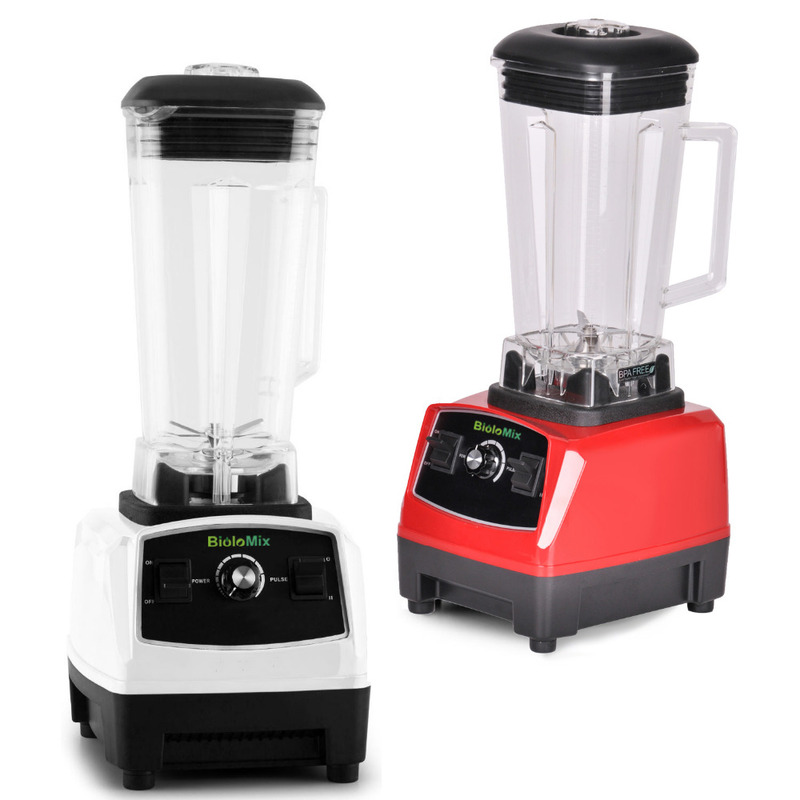 For confirmed product faulty on your approval, we can send to you free replacement parts, but for any physical damage or damage is result of buyer misuse, Buyer need to share some amount. Perfection Technology is a platform with intelligent home appliance products at premium standard, It is our duty to create more value and five-star better service for you, to spread smart Appliances to more family to kill off tedious housework, so that you can spare more time for funs and health, enjoying a beautiful life. попробовал рис очень хорошо получился. теперь ролы сам буду делать. на самом устройстве все по китайскому. приложение на русском. 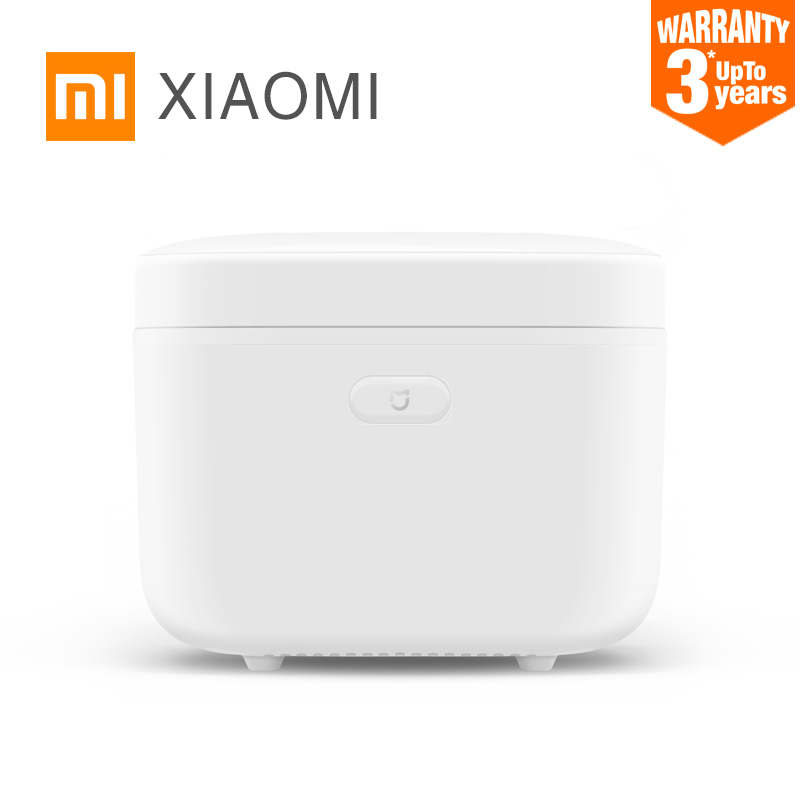 все понятно xiaomi молодцы. 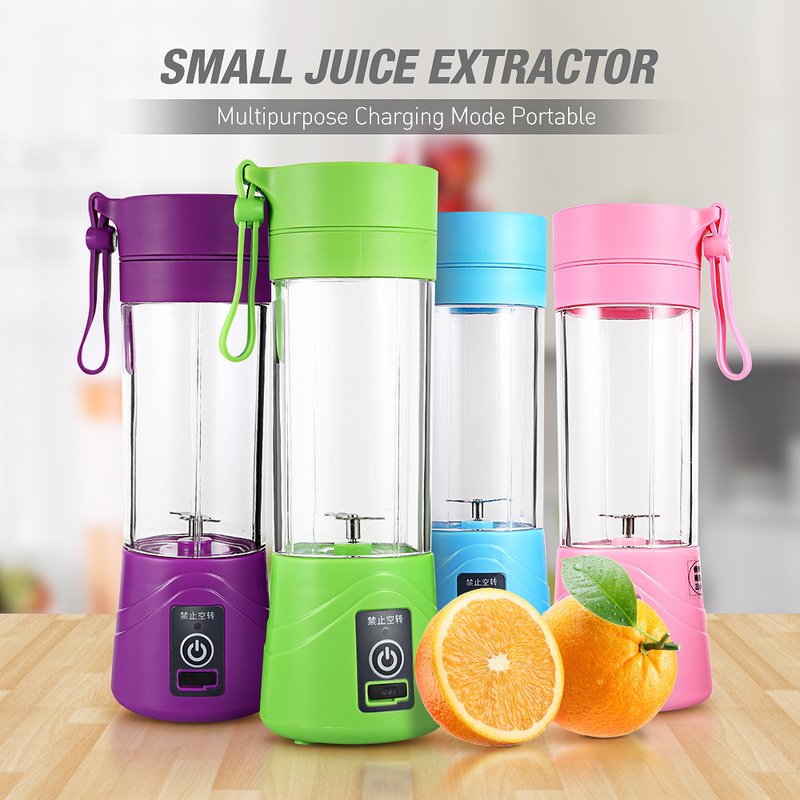 very fast shipping and excellent product. thank you! Very professional seller. Honest, unless most of AliExpress stores out there : face and solve problems instead of running away from them. Total trust in this seller. Also speaks perfect english so get clear to communicate. The product of course is amazing, awesome quality, you won't regret neither the product, nor to buy it from this store ! Very high quality product, well packed and arrived in time. No additional fees. Thanks for the gift chinese knot! Рисоварка - одно из лучших приобретений на али. Она идеальна во всем. Чтобы оценить покупку надо - любить рис и готовить его часто. Я ем рис и продукты с рисом 4-5 раза в неделю. Для меня оптимальна. Все зерновые я готовлю в ней, с рисом все просто и понятно, к остальным надо приноровиться, я теперь даже перловку готовлю в ней. Dans la version a pression, il n y a pas de panier vapeur mais le pot est en fonte beaucoup plus solide. Pour faire l appairage avec l application Mi Home, il faut mettre comme region la chine et langue anglais. A very successful transaction. The seller is passionate about the product, very prompt to respond to questions and provide information as requested, including very reassuring information during a hiatus in tracking updates when the consignment transition from the international carrier to our local courier company . In all a very professional and supportive seller. 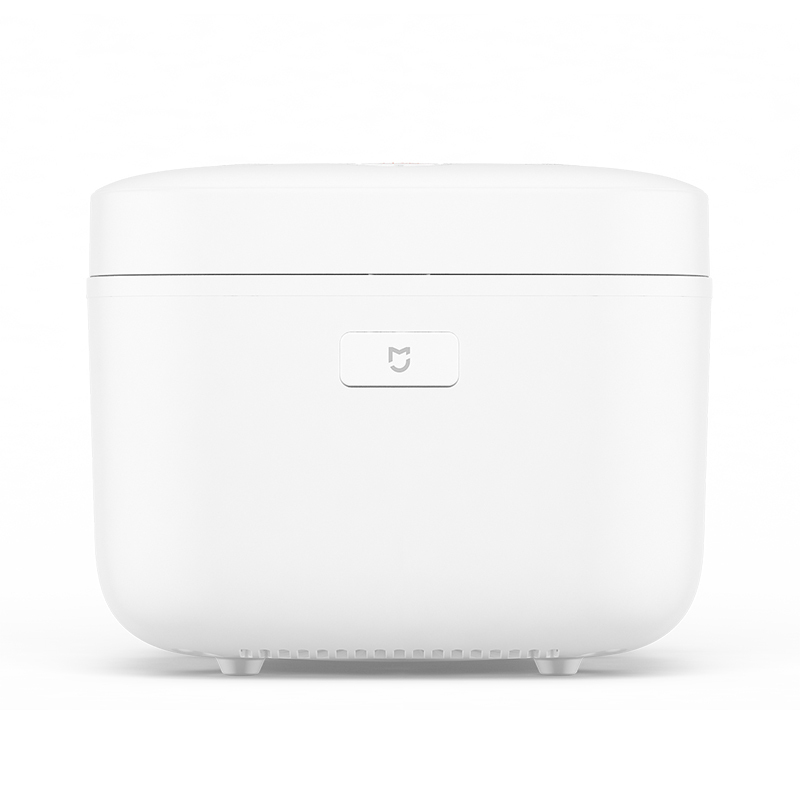 The product itself is first class - looks great and works perfectly - made our first batch of rice about two hours after receiving the package. I predict we will become as passionate about this extraordinary hi-tech rice cooker as is the seller. спасибо! рекомендую продавца и товар! 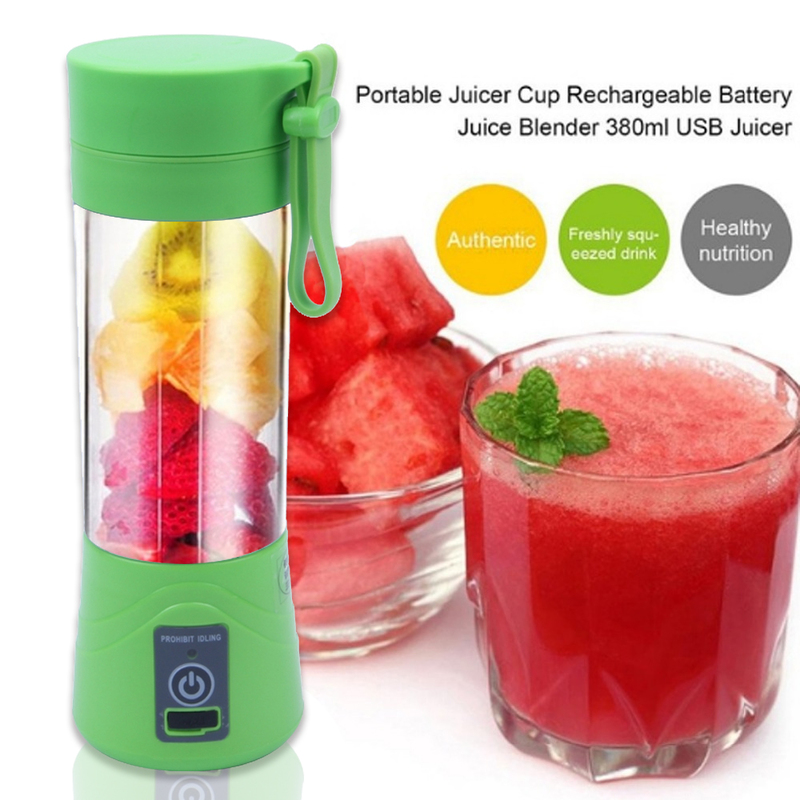 Seller is awesome, very responsive, honest and very professional. One of my best experiences in AliExpress for real ! If he gives you an advice about shipping, pay attention and listen carefully to him. He also speaks perfect English which can be sometimes quite rare on Ali... Of course package was very carefully packed and delivered without any problems. Highly recommended. Perfect device, everything is OK, Box didn't damaged. Tryed to cook several menu, and thats was excellent. 100 from 10. Thanks to customer.